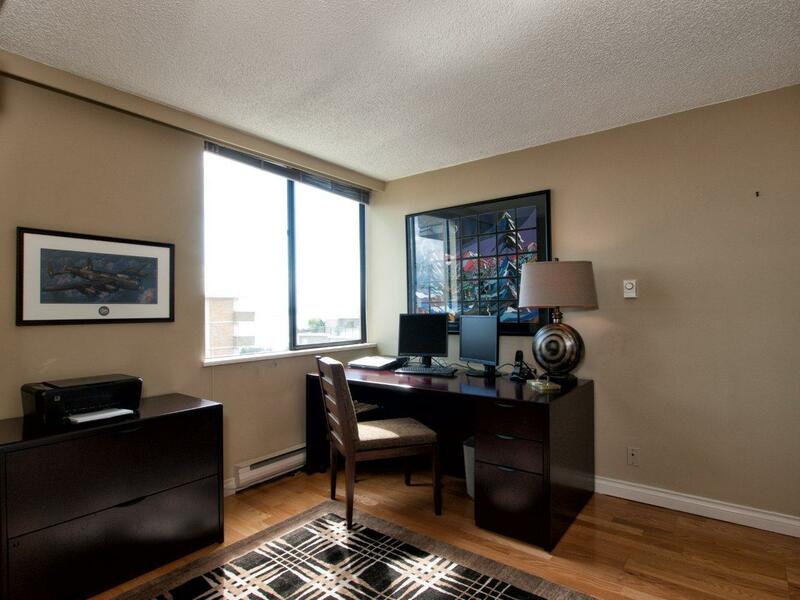 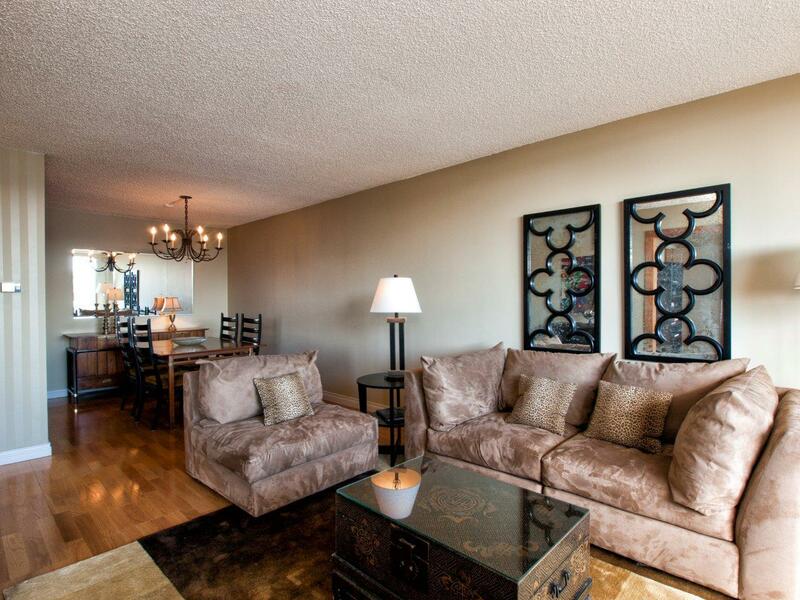 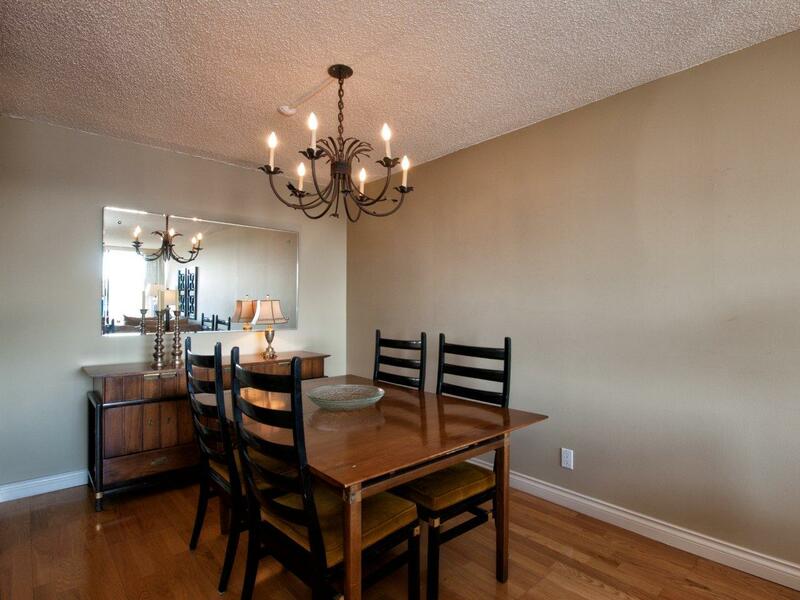 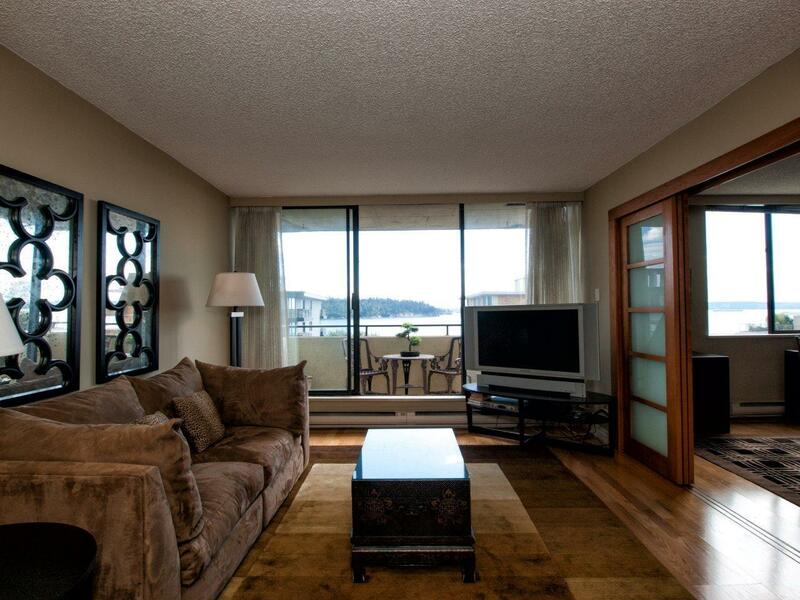 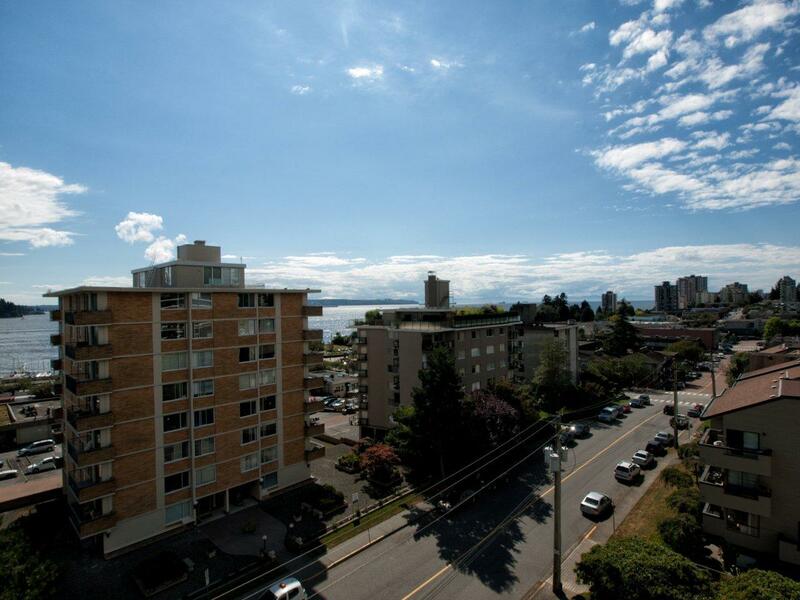 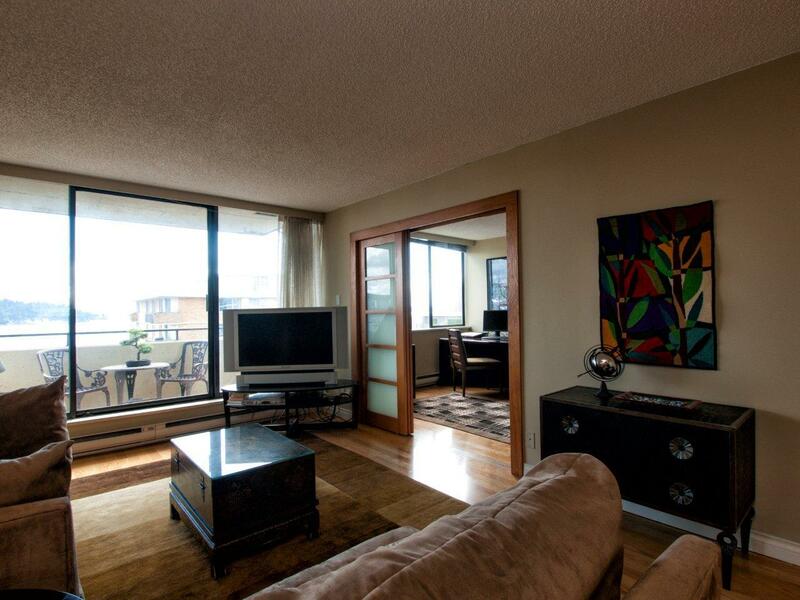 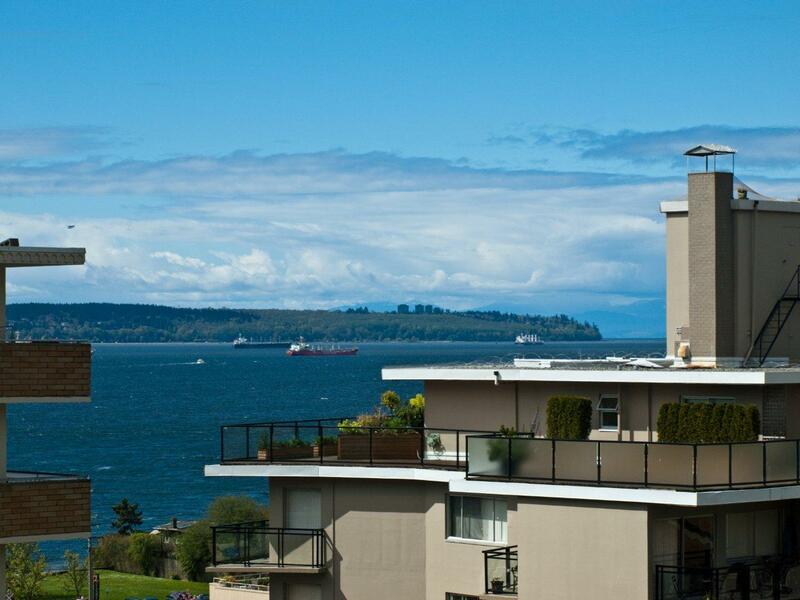 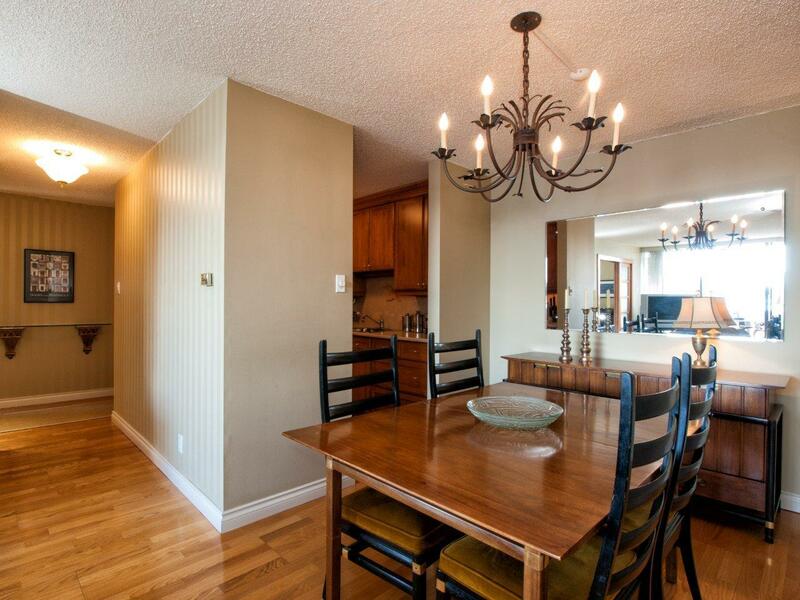 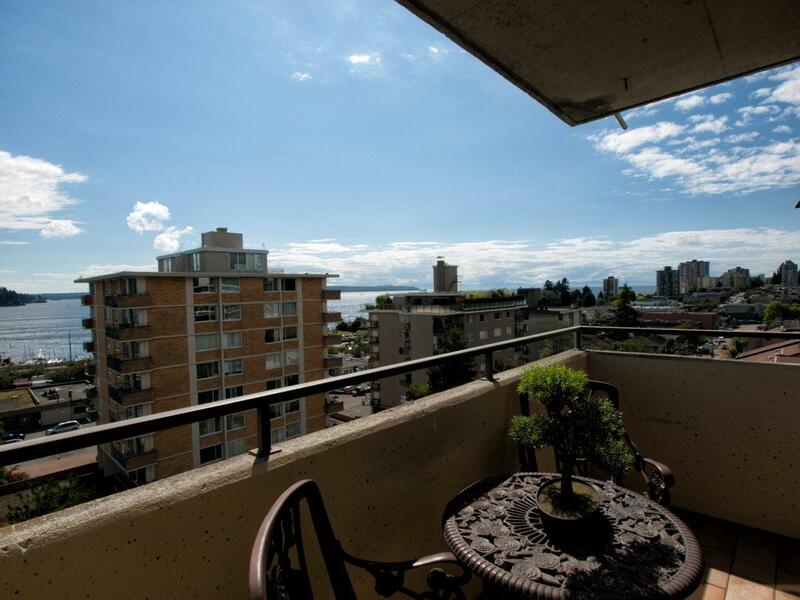 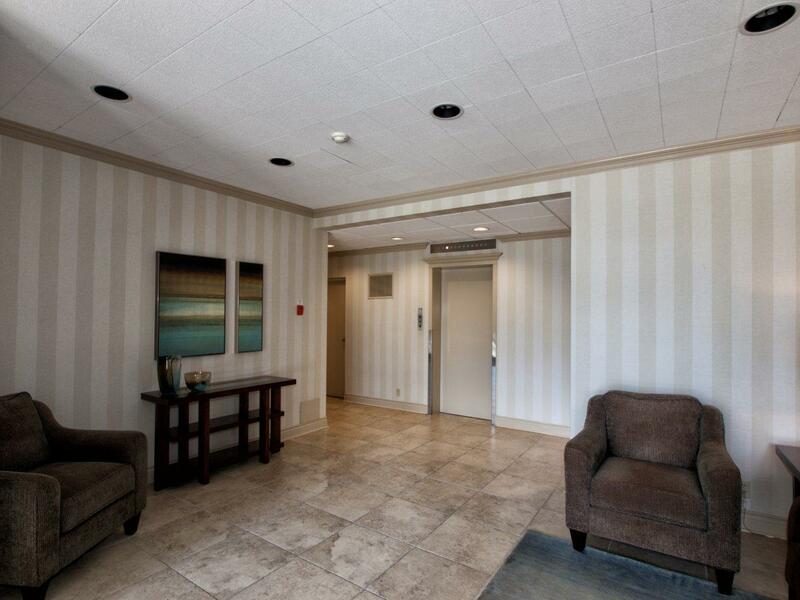 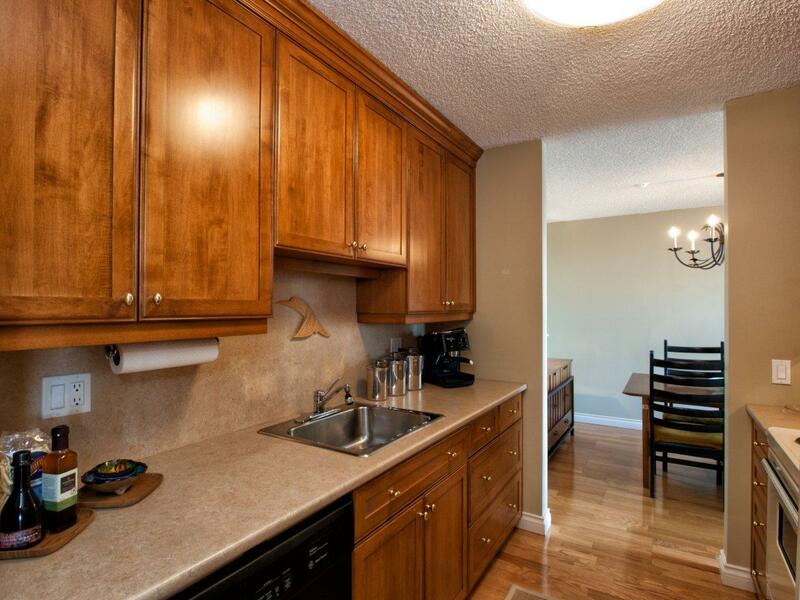 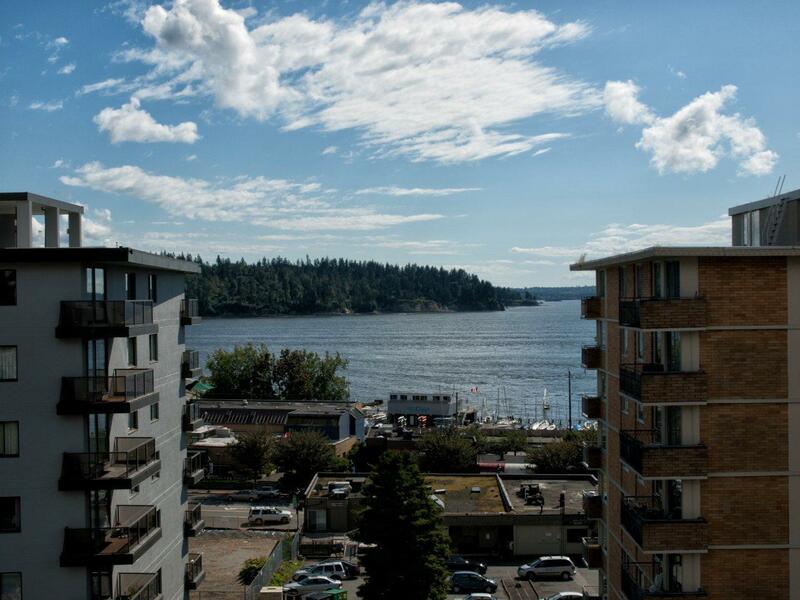 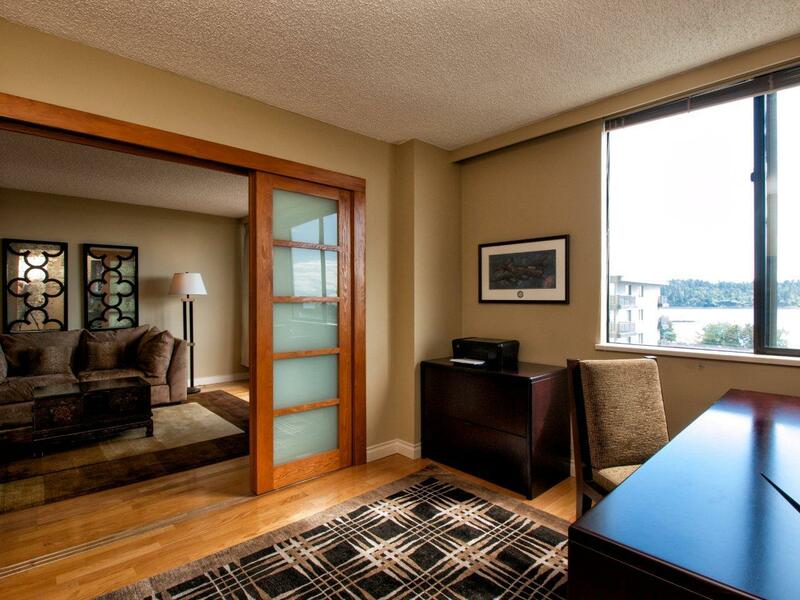 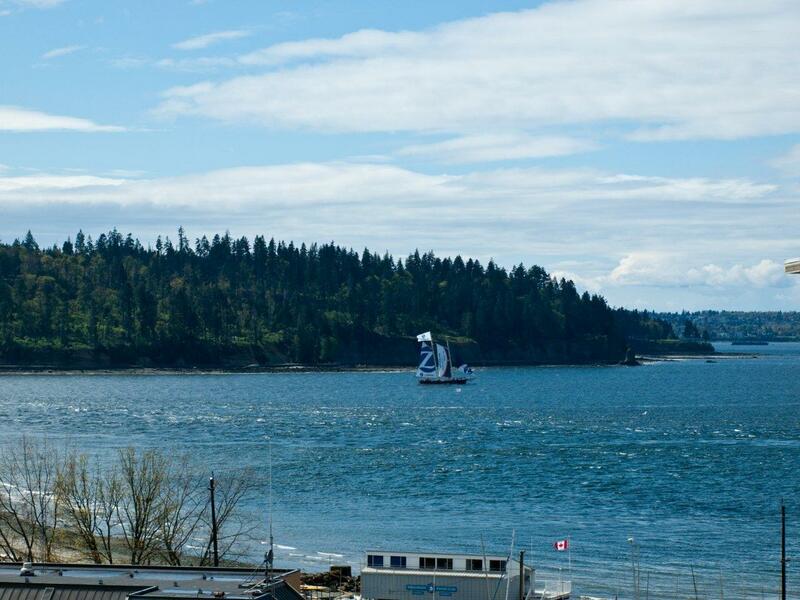 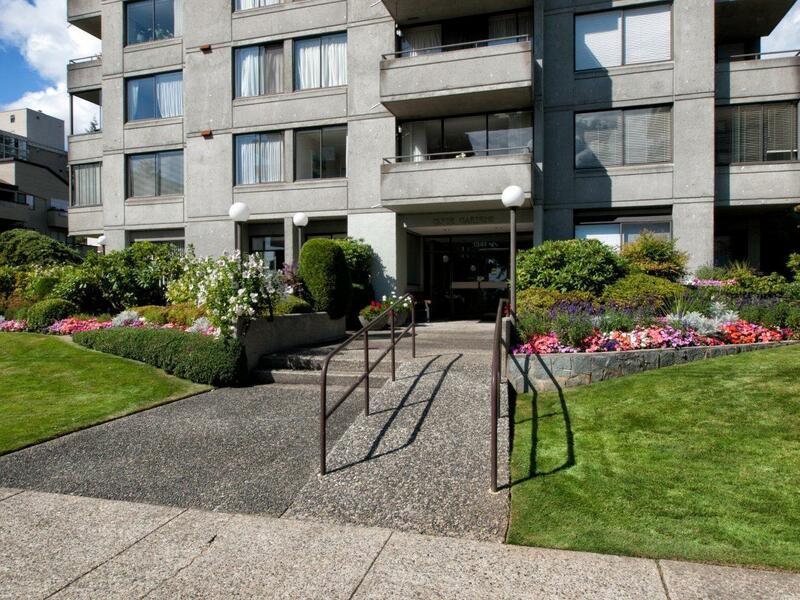 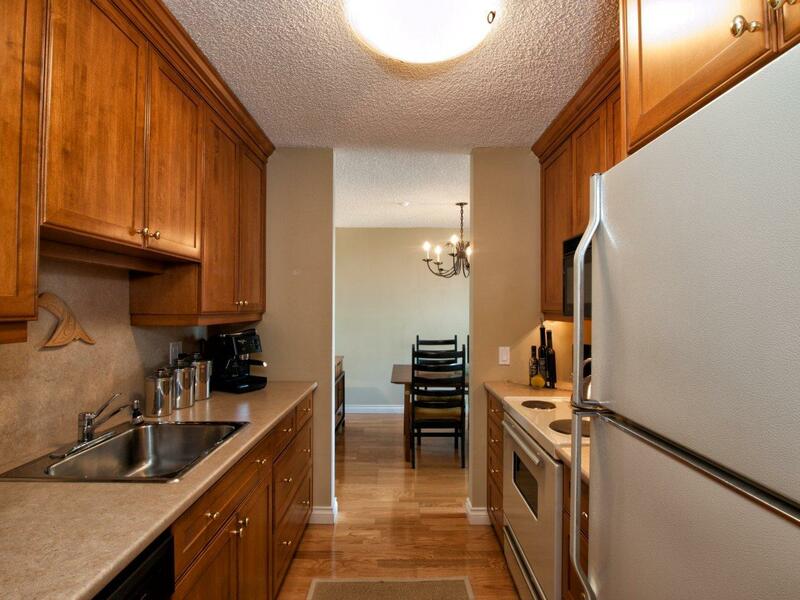 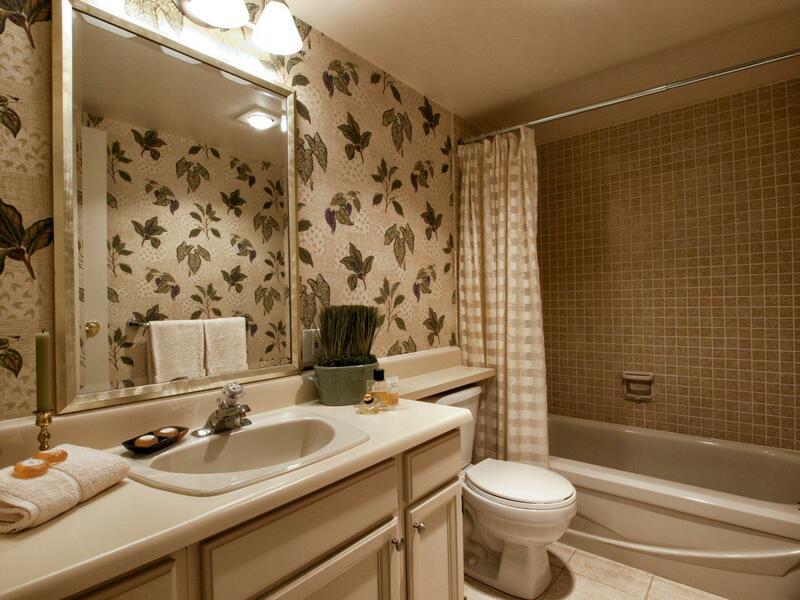 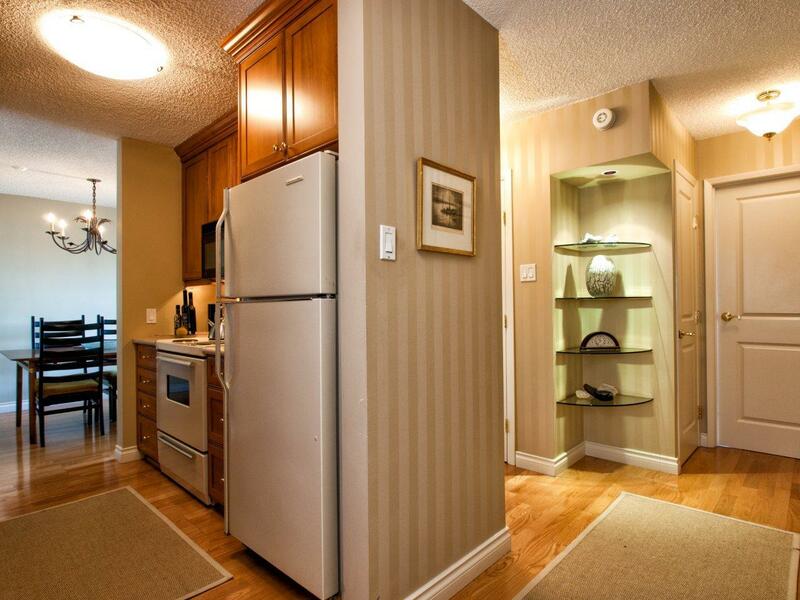 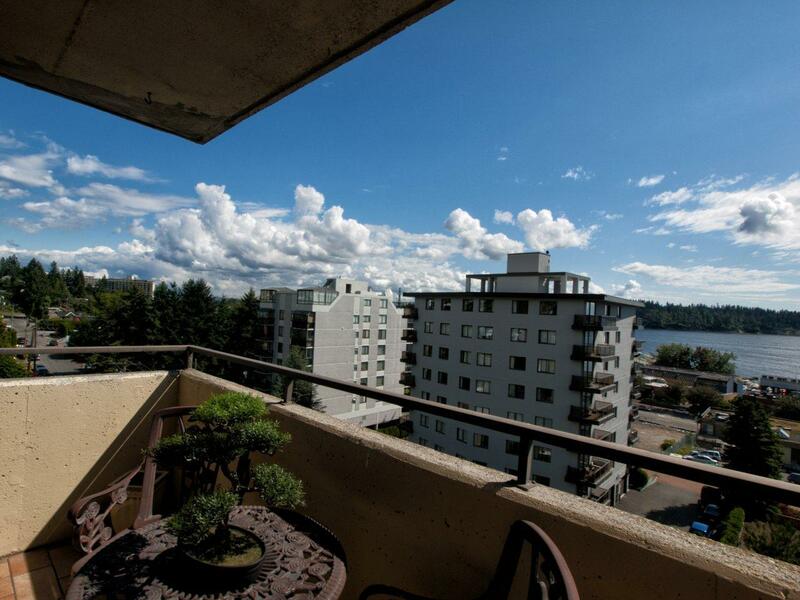 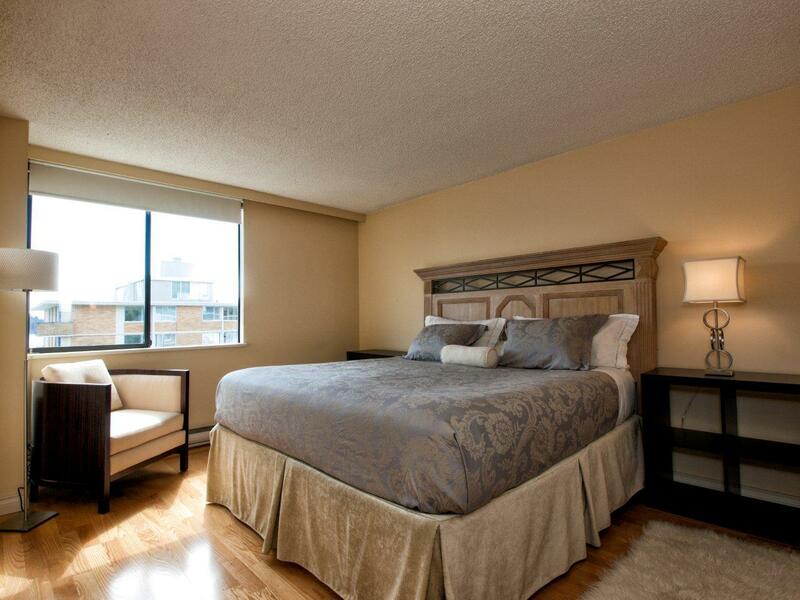 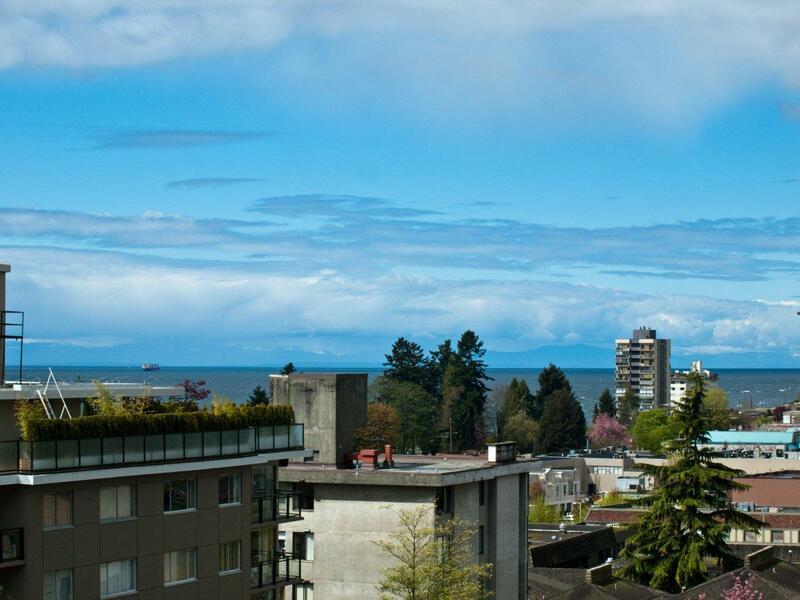 Gorgeous two bedroom suite with lovely city and water views. 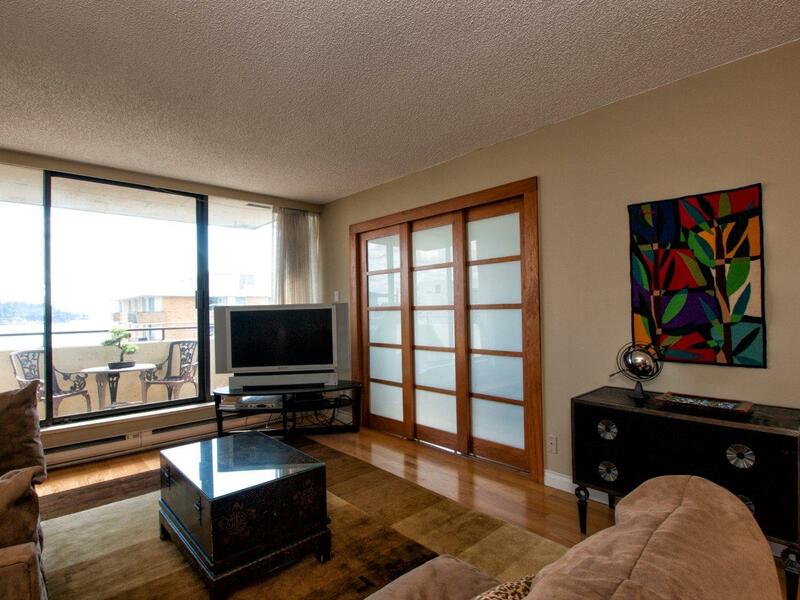 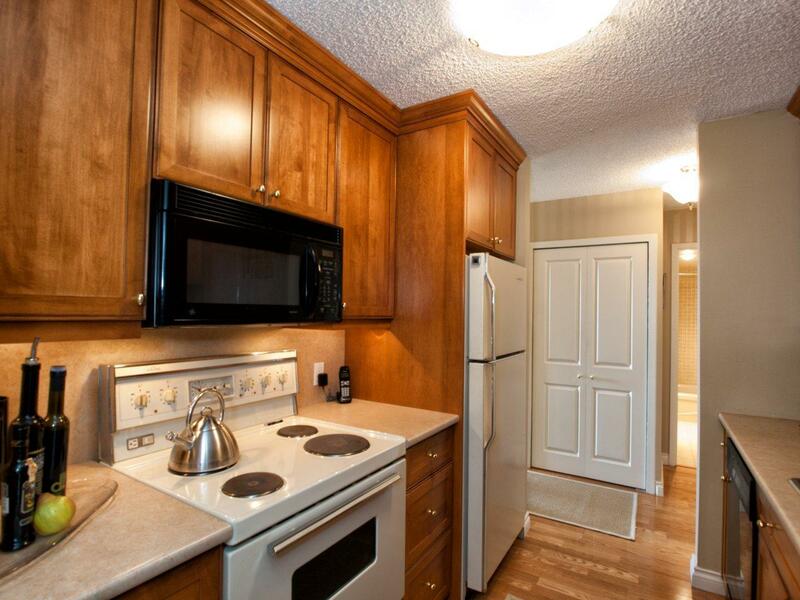 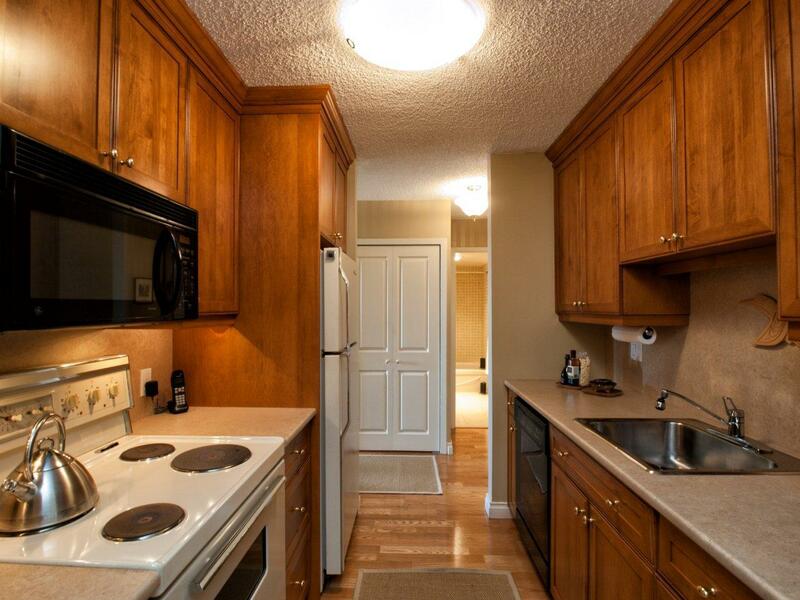 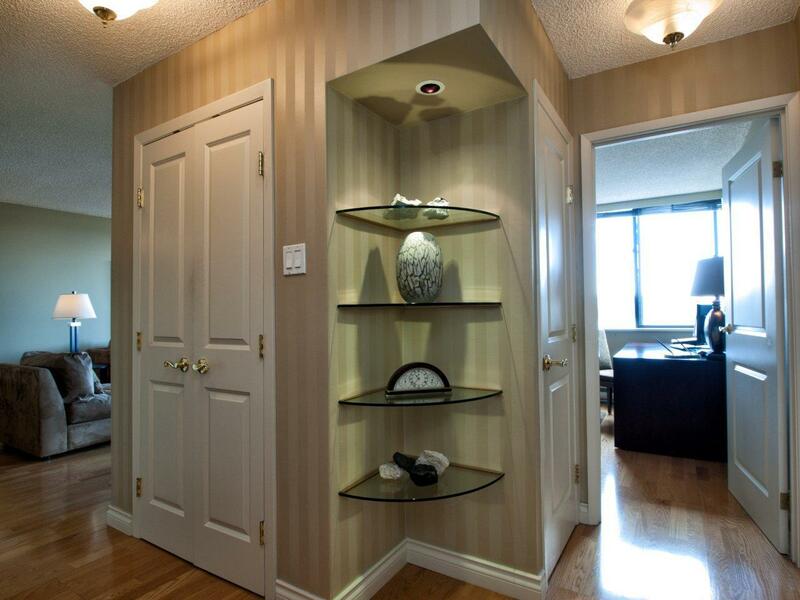 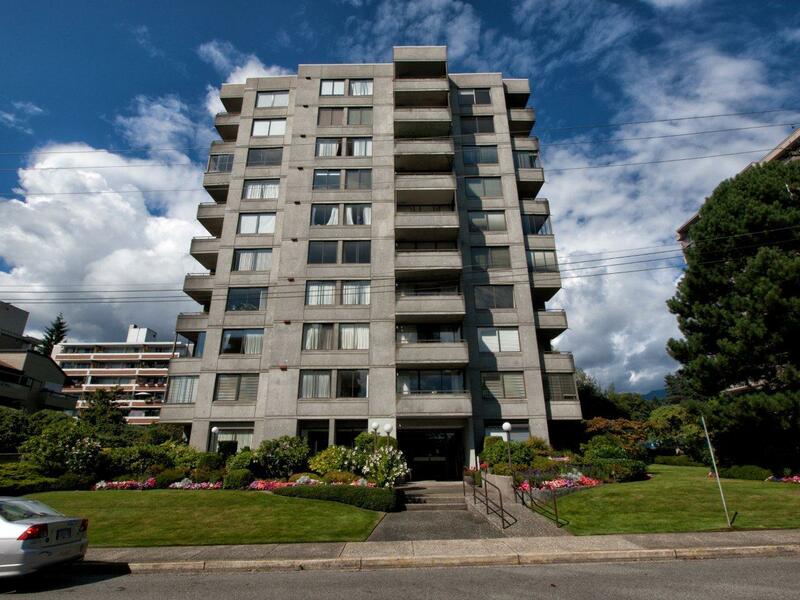 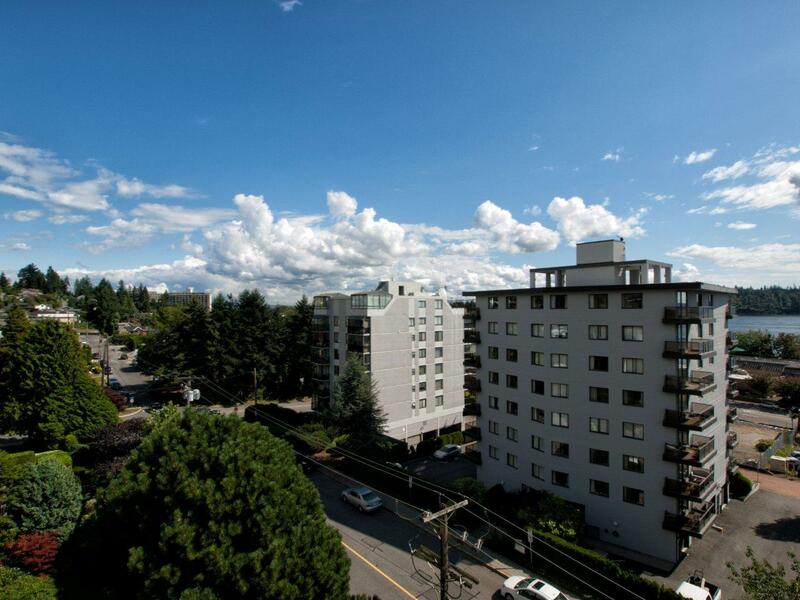 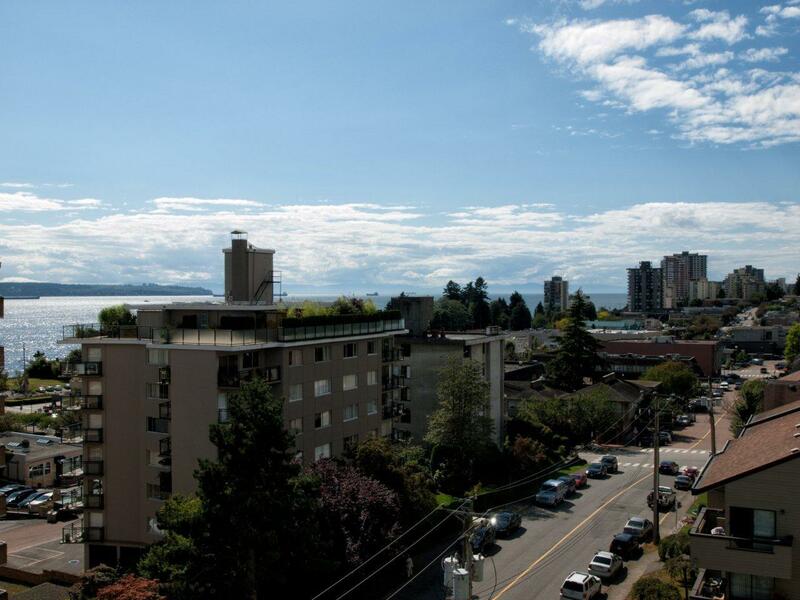 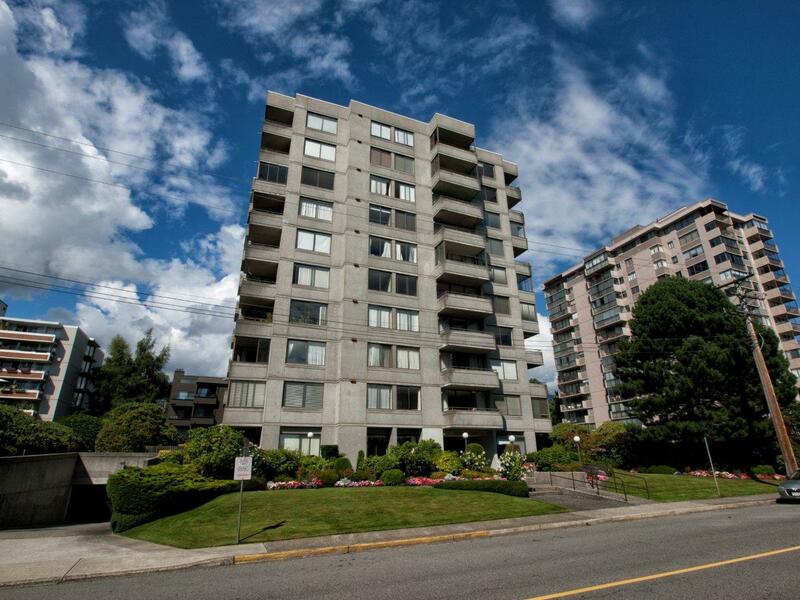 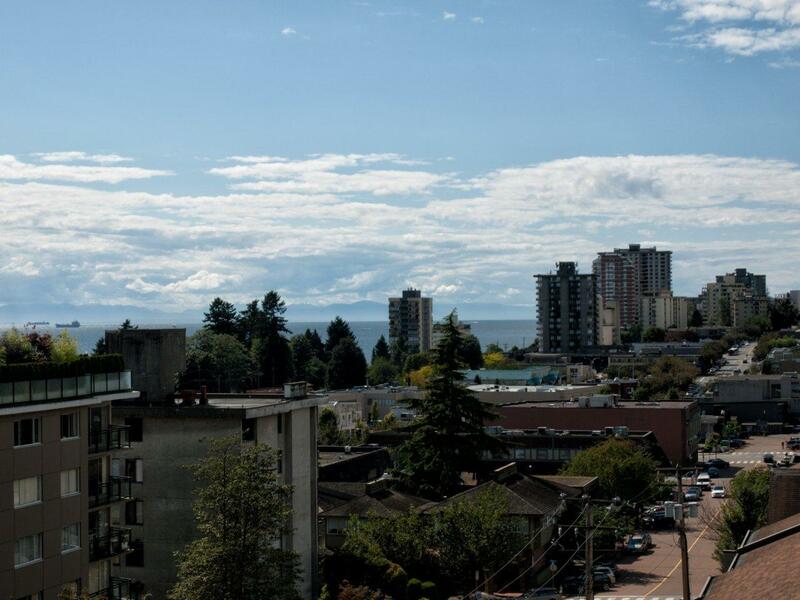 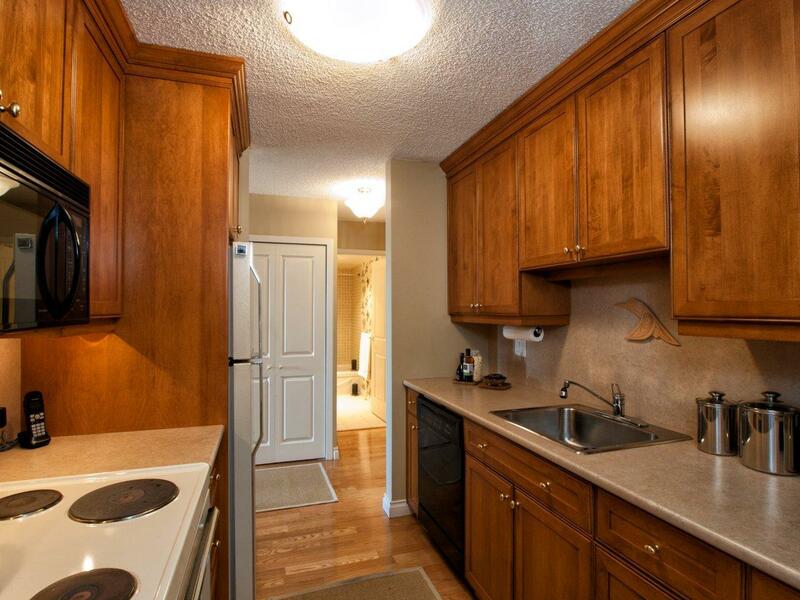 Located in a great concrete building this apartment was beautifully renovated in 2002 with a new kitchen, a new master ensuite and all hardwood flooring throughout. 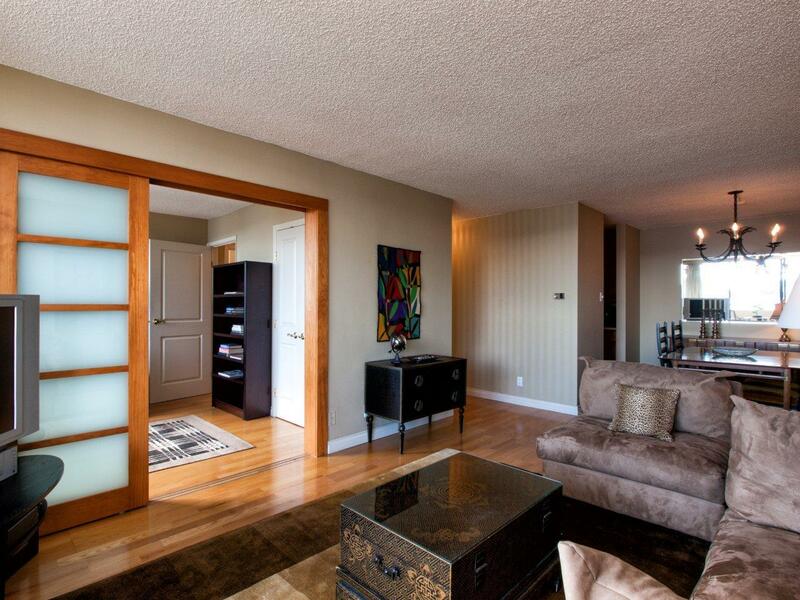 The wall was removed between the living room and the second bedroom and sliding doors were put into place allowing for privacy or a great open living space. 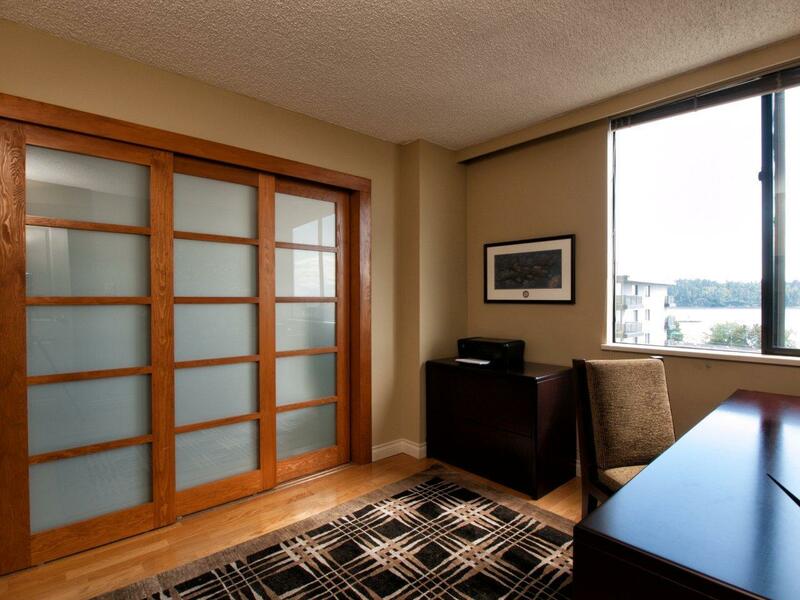 Secure parking, in suite laundry, three storage lockers including one just outside your front door and only three suites per floor. 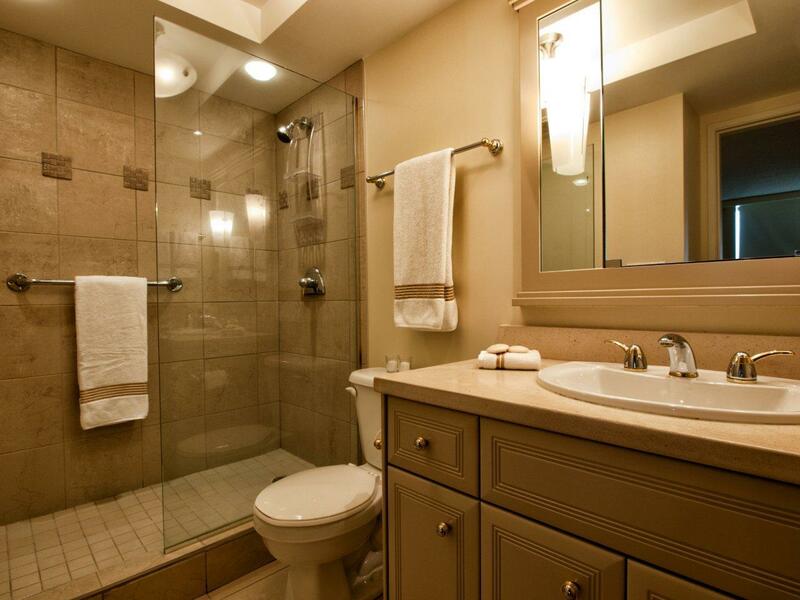 Conveniently located in the heart of Ambleside and just a short walk to the shops or the seawall.....you will have no need for a car!